Antonio Vivaldi, master and model of invention, inspired over a half-century of European music with his first published set of concertos for one, two, and four violins: L’Estro Armonico. The Pacific Baroque Orchestra offer selections from this seminal work and from La Stravaganza led by the imaginative and wildy virtuosic Italian violinist Enrico Onofri. 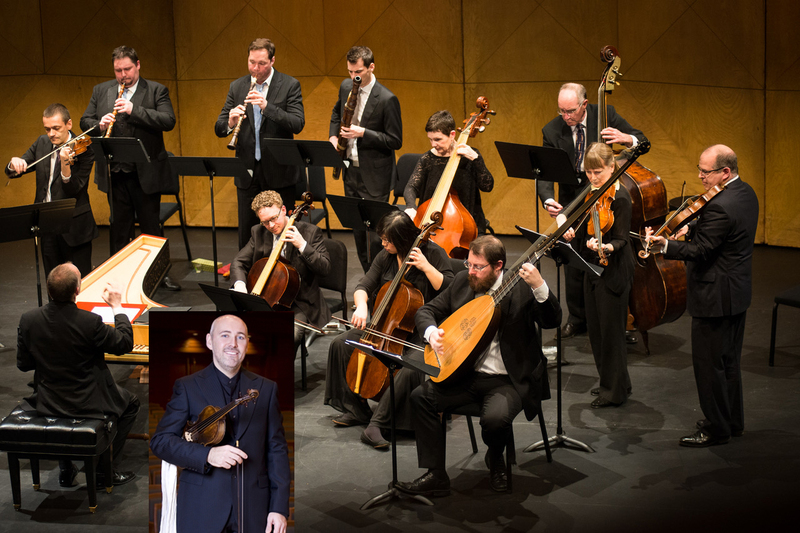 The Pacific Baroque Orchestra (PBO) is recognized as one of Canada’s most exciting and innovative ensembles performing “early music for modern ears.” PBO brings the music of the past up to date by performing with cutting edge style and enthusiasm. Formed in 1990, the orchestra quickly established itself as a force in Vancouver’s burgeoning music scene with the ongoing support of Early Music Vancouver. ​In 2009 PBO welcomed Alexander Weimann, one of the most sought-after ensemble directors, soloists, and chamber music partners of his generation, as Artistic Director. Weimann’s imaginative programming and expert leadership have drawn in many new concertgoers, and his creativity and engaging musicianship have carved out a unique and vital place in the cultural landscape of Vancouver. PBO regularly joins forces with internationally celebrated Canadian guest artists, providing performance opportunities for Canadian musicians while exposing West Coast audiences to a spectacular variety of talent. The Orchestra has also toured B.C., the northern United States and across Canada as far as the East Coast. The musicians of the Pacific Baroque Orchestra have been at the core of many large-scale productions by Early Music Vancouver in recent years, including many summer festival performances led by Alexander Weimann, and the orchestra continues to perform and expand its concerts in the Pacific Northwest, from Portland, Oregon, to Seattle, Washington, Victoria, and here at home in Vancouver. In 2014 PBO was honoured to have our recording of Handel’s ORLANDO nominated for a Juno Award! Enrico Onofri was born in Ravenna, Italy. His career began with an invitation from Jordi Savall to be the concertmaster of La Capella Real. Very soon he found himself working with groups such as Concentus Musicus Wien, Ensemble Mosaiques and Concerto Italiano. From 1987 to 2010 he was the concertmaster and soloist of Il Giardino Armonico. In 2002 he entered upon a conductor’s career, which has brought him great critical acclaim and numerous invitations from orchestras and festivals in Europe, Japan and Canada. From 2004 to 2013 he was the principal conductor of Divino Sospiro and since 2006 he has been a principal guest conductor with Orquesta Barroca de Sevilla. He has conducted ensembles such as Camerata Bern, Festival Strings Lucerne, Kammerorchester Basel, Orchestra Ensemble Kanazawa, Cipango Consort Tokyo, Real Orquesta de Sevilla, Orchestre de Clermont Ferrand, Orchestre de l’Opéra de Lyon, Orquesta Sinfonica de Galicia and more. 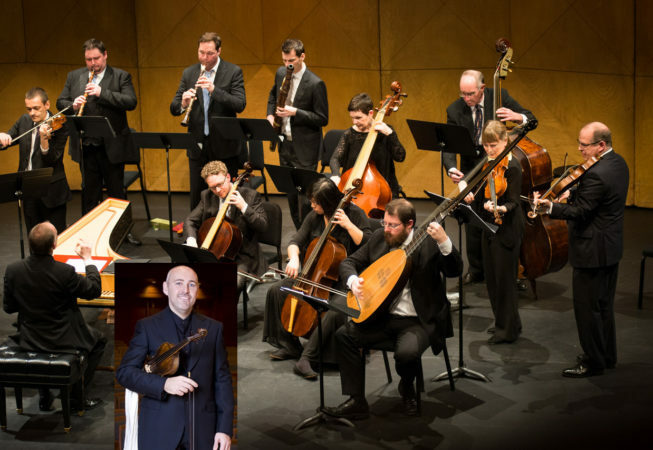 He founded the chamber group Imaginarium Ensemble to perform the Italian baroque repertoire. Enrico Onofri has performed in the world’s most famous concert halls including the Musikverein and Konzerthaus in Vienna, Mozarteum in Salzburg, Philarmonie and Unter den Linden Opera in Berlin, Alte Oper in Frankfurt, Concertgebouw in Amsterdam, Teatro San Carlo in Naples, Carnegie Hall and Lincoln Center in New York, the Wigmore Hall and Barbican in London, Tonhalle in Zurich, Théâtre des Champs-Elysées and Théâtre du Châtelet in Paris, Auditorio Nacional in Madrid, Oji Hall in Tokio, Osaka Symphony Hall, Colon in Buenos Aires, alongside artists like Nikolaus Harnoncourt, Gustav Leonhardt, Christophe Coin, Cecilia Bartoli and Katia and Marielle Labèque. Many of Enrico Onofri’s recordings with Teldec, Decca, Astrée, Naive, Deutsche Harmonia Mundi/Sony, Passacaille, Nichion, Winter&Winter, Opus111, Virgin, Zig Zag Territoires etc., have been awarded prestigious international prizes, such as the Gramophone Award, Grand Prix des Discophiles, Echo-Deutsche Schallplattenpreis, Premio Caecilia, Premio Fondazione Cini of Venice, La Nouvelle Academie du Disque and numerous Diapason d’Or, Choc de la Musique, 10 de Répertoire des disques compacts. His concerts have been broadcast by European, American, Asian and Australian networks. 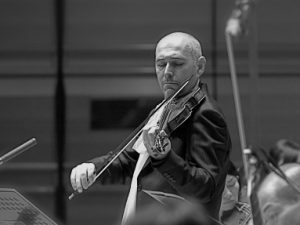 Enrico Onofri has been the professor of baroque violin and interpretation of baroque music at the Conservatorio Bellini in Palermo since 2000. He has been invited to give master classes throughout Europe, Canada and Japan, has been tutor and invited conductor with the European Union Baroque Orchestra and has been invited in 2011 to give a master class at the Juilliard School in New York.